Jeanie joined Whitelaw Twining in 2018 and practices general insurance litigation, including property damage, bodily injury, and human rights matters. She enjoys the unique attributes of each case and her curiosity motivates strong advocacy on behalf of her clients. Jeanie has appeared on behalf of clients at the Provincial and Supreme Courts of British Columbia as well as successfully advocating for her clients in mediations. 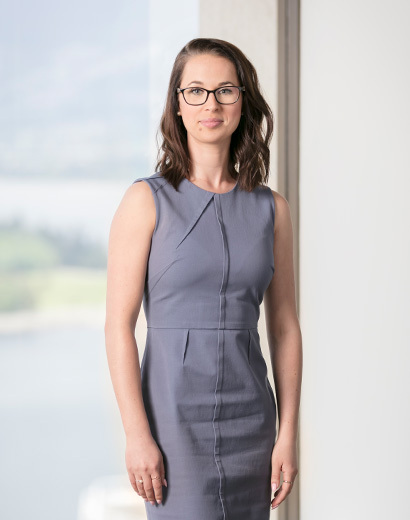 Before becoming a lawyer, Jeanie completed a philosophy degree at the University of Victoria while working many years with children and youth in her community. In her spare time, Jeanie enjoys exploring new restaurants or escaping to a gulf island.